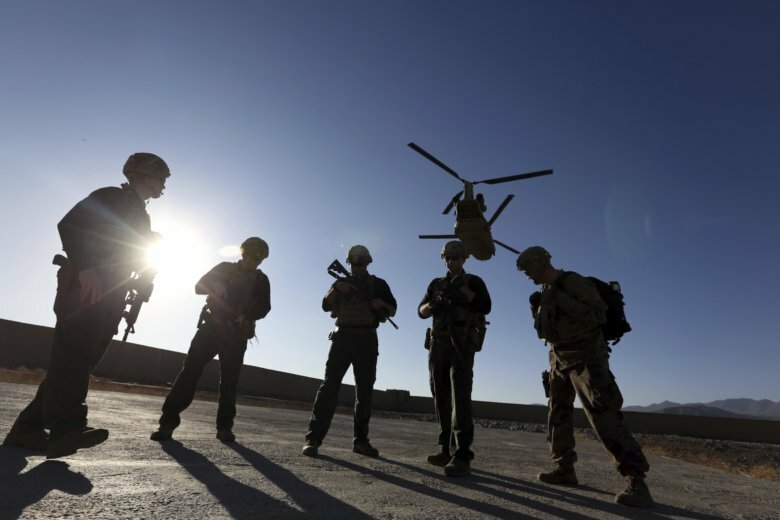 KABUL, Afghanistan (AP) — Authorities are investigating an errant U.S. strike on an Afghan military base in the country’s south that killed at least five Afghan troops, a lawmaker said Thursday. A U.S. air-to-ground strike was called in to aid the convoy when it came under fire. Barikzai said it hit the Afghan army base, located barely 4 kilometers (2.5 miles) from the governor’s house, but other reports say the strike hit outside the post, which had recently been moved from one location to another. It ended with 25 of Nur’s militia jailed, said Interior Ministry spokesman Nusrat Rahimi. One member of the government security forces was wounded, he said. Several years ago Afghanistan legalized militias loyal to the country’s warlords, many of whom took up government positions after the overthrow of the Taliban. Initially, after the 2001 collapse of the Taliban, the United Nations ordered all militias disarmed but as the country’s security deteriorated, many warlords both with the government and in opposition redeployed their militias. Nur called for the city-wide shutdown and is demanding Ghani withdraw Mubarez’s appointment and instead name Nur’s choice for the post, as Ghani allegedly promised.